Novo Nordisk has edged closer to finding a cure for type 1 diabetes and will expand its stem cell research into other chronic disease areas. The Copenhagen-based company’s commitment to expand its focus to serious chronic diseases, as well as type 1 diabetes, has been made possible through its collaboration with the University of California San Francisco (UCSF). The company has revealed that it has made major progress in its development of human embryonic stem cell lines. A cure for type 1 diabetes will have an obvious impact on the company, which is one of the world’s biggest producers of insulin products and other diabetes treatments, with the latter accounting for most of its $17.5bn annual sales. The stem cell therapy involves replacing the beta cells that are lacking in people with type 1 diabetes. If the advances in this type of therapy continue to fruition, it could mean that sufferers of the disease will not rely on insulin. The agreement with UCSF has enabled Novo Nordisk to licence a technology to enable the generation of good manufacturing practice (GMP) compliant human embryonic stem cell (hESC) lines, as well as the rights to develop these into regenerative medicine therapies. Researchers from Novo and UCSF will work together on the cell lines that they hope will define the quality standard in the production of stem cell-based therapies. Novo Nordisk has spent the past 20 years focusing on using stem cells to produce insulin-producing beta cells, and has now achieved preclinical proof-of-concept. Also, Novo Nordisk has worked with Cornell University to create an encapsulation device that protects the beta cells transplanted into patients from being attacked by the person’s immune system. 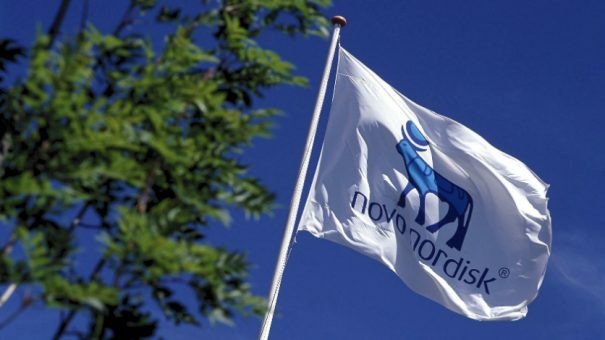 Novo Nordisk anticipates that the first clinical trial could be initiated within the next few years. Semma Therapeutics is also pursuing stem cell therapy for type 1 diabetes. It raised $114 million in November last year to add to its existing funding.